Beach Cities Health District is training volunteer parent docents to help deliver evidence-based curriculum on empathy, gratitude and emotional resilience in the classroom. This reality has struck a nerve in the Beach Cities, particularly with parents in Hermosa Beach City School District. What began last year as a simple conversation between parent Jennifer Buchsbaum and Superintendent Patricia Escalante about the need for enhanced social-emotional programming, has become a multi-stakeholder community initiative: The Hermosa Beach Empathy Project. The goal? 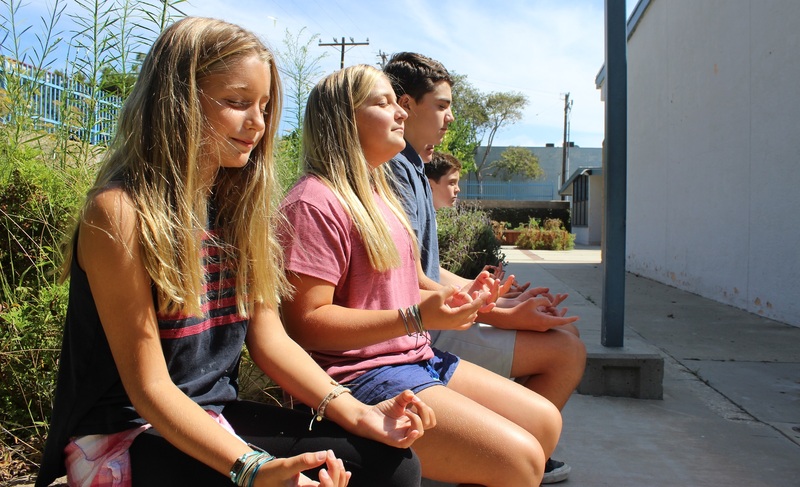 Promote empathy in the classroom in conjunction with the mindfulness lessons currently taught by teachers through Beach Cities Health District’s MindUP program. Since 2011, teachers in the Hermosa, Manhattan and Redondo Beach school districts have been trained by BCHD to deliver the MindUP curriculum, which includes breathing and meditation exercises, lessons on brain function and social-emotional learning. To bolster its existing program, BCHD is launching a pilot MindUP Parent Volunteer program at Hermosa Valley and Hermosa View schools. Mirroring the format of its acclaimed LiveWell Kids nutrition program in Redondo Beach, BCHD’s MindUP pilot program will also use trained parent docents to reinforce the lessons being delivered by teachers in the classroom. The pilot program will add five parent-taught MindUP lessons to 15 currently being taught by teachers. BCHD is responsible for developing the new curriculum and training parent docents like Jennifer Buchsbaum to deliver it in the classroom. To learn more about MindUP, visit bchd.org/mindup.